In the past couple of years, since its accession to the World Trade Organisation (WTO) on 11 January 2007, Vietnam has continued to take active steps to revamp its legal framework for business and investment in Vietnam. The changes are largely favourable to both foreign and local investors. Since the introduction in 2006 of both the Investment Law, which regulates investments in Vietnam, and the Law on Enterprises, which sets out the types of corporate vehicles investors may establish to carry out their investment projects, additional legislation has been enacted to further enhance both foreign investment and foreign invested business operations in Vietnam. Together, the Investment Law and the Law on Enterprises create a more favourable and clearer legal framework for doing business in Vietnam. Local and foreign businesses alike now enjoy an excellent backbone for future development in Vietnam. Another key asset to the Vietnamese market is its political stability. Business Monitor International ranked Vietnam in 2nd place, tied with Hong Kong, for its level of political stability. Vietnam has not experienced the security issues that have plagued some of its ASEAN neighbours in the past twenty years. In fact, not a single military conflict has arisen since 1979. The prospects of a coup of any kind, or political instability from neighbours spilling into Vietnam, are highly unlikely. Though there are occasional protests by minority ethnic groups, the degree of these protests is minimal. Another benefit is the average Vietnamese worker. Although often lacking technical and practical skills, the average worker is diligent and eager to learn with a strong desire for great affluence. The population is young, with 60% of all Vietnamese under age 30. Furthermore, wages in Vietnam are comparatively cheap. The pro-business ideology of the Vietnamese people has also manifested itself in the government. 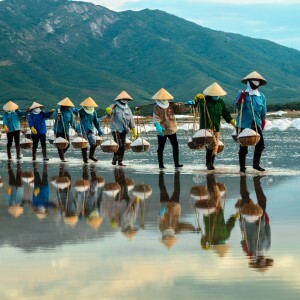 A comparison of Vietnam’s almost autarkic government of the 1980s to the one today which has acceded to the WTO and is encouraging foreign investment, is a testament to its commitment to reform. Finally, Vietnam’s geographic position is another of its main assets. It has a long coastline with many ports and shares a border with southern China, and is thus close to large metropolitan and economic hubs such as Hong Kong, Shenzhen and Guangzhou. Its proximity to China and emerging port capacity gives it an ideal location for firms wishing to enhance the cost-competitiveness of their global supply chains. This geographic positioning, along with the strong growth potential and competitive labour costs, has encouraged firms to adopt a “China+1” strategy in Vietnam, where foreign firms already established in China look to Vietnam to outsource some of their activities. Whether a foreign investor invests “directly” or “indirectly” in Vietnam, the applicable law is the Investment Law. The Investment Law contains a significant number of investment guarantees and provides a roadmap for the conditions and procedures for investment in Vietnam. The Investment Law requires an investor who invests “directly” to obtain approval for the relevant project. Approval is given via the issuance of an investment certificate (IC). In respect of “indirect” investments, the Investment Law stipulates that the investor needs to comply with the Securities Law and other relevant laws. If a foreign entity does not wish, or is not ready, to invest in Vietnam, but desires to have a commercial presence in Vietnam, it may set up a representative office. What are the most common business forms for direct investment in Vietnam? Most foreign investors will utilize either a WFOE, JV or BCC to carry out a project in Vietnam. A WFOE and JV are both Vietnamese corporate legal entities and therefore, in each case, a Vietnamese corporate vehicle to carry out investment in these forms must be established. In a BCC, no legal entity is formed. The parties to such arrangement may agree to share profits and losses or conduct their business affairs in a particular manner, in much the same way as a partnership; it is, in effect, a contractual JV. To carry out a business or an investment project in the WFOE or JV form, an investor must set up a Vietnamese legal entity. 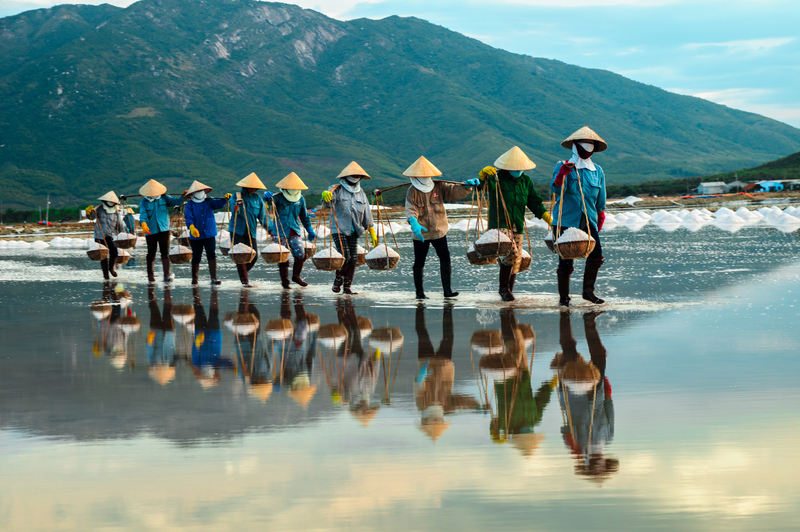 In respect of foreign investors carrying out their first project in Vietnam, the incorporation of the Vietnamese company takes place simultaneously with the licensing of their first project. In other words, a foreign investor cannot incorporate a company without a project. However, subsequent to the first project, they have the option to carry out additional projects either using the established corporate vehicle or setting-up new corporate vehicles. What types of Vietnamese legal entities are available? The key difference between a JSC and a LLC is the ability of a JSC to mobilise capital by the sale of shares and securities. Furthermore, a company that wishes to list on a public securities exchange in Vietnam or conduct a public offering must be a JSC. In general, shareholders of a JSC have the right to freely assign their shares. In contrast, in an LLC, the assignment of charter capital (equity) is subject to the right of first refusal by the members. Finally, the corporate governance structure of a JSC is more complex than an LLC. What factors should a foreign investor consider in deciding to choose a JV or a WFOE? The two main factors that lead a foreign investor to choose a JV are: (1) many business sectors in Vietnam require a JV to establish a commercial presence in Vietnam and (2) the Vietnamese party has a key asset, local know-how and knowledge, or other factors that make the JV the necessary choice. For example, in real estate development projects, the Vietnamese party usually has the land use rights, which by law cannot be directly transferred to a foreign investor, but may be contributed into a JV. What is a representative office permitted to do? A representative office represents the foreign company in Vietnam, as the name suggests. It is often the first step in establishing a commercial presence in the country. A foreign company that wishes to a representative office in Vietnam must first be duly established, for at least one year, in accordance with the laws of its home jurisdiction. Representative offices have limited rights. They are permitted to engage only in certain business activities, including business development and cannot engage in activities that generate profit in Vietnam. The head of the representative office is not permitted to sign economic or commercial contracts with Vietnamese businesses on behalf of the off shore company unless he or she has specific legal authority from the off shore company. Despite the limitations, a representative office may play an important role in facilitating operations and business objectives on behalf of the off shore company. What is the approval process for establishing JVS and WFOES? What is the significance of a company’s Business Registration Certificate or an IC? All validly existing private business enterprises in Vietnam must have either a business registration certificate (BRC) or an IC. For foreign investors, the IC is both the BRC and the approval to undertake the investment project. Foreign invested enterprises (FIEs), which include WFOEs and JVs, always need to obtain an IC. ICs are usually issued by the local PC with jurisdiction over the matter. The ICs state the legal name of the company, the nature of the company (LLC or JSC), its business lines, its legal representative, business address, the amount of registered capital, and the details of any authorized project. Without a valid IC, foreign business enterprises cannot legally do business in Vietnam. What is a “Legal Representative” of a Vietnamese company? The legal representative is an officer of a Vietnamese company who has the primary responsibility and power to act on behalf of the company in its dealing with the State. Pursuant to the Law on Enterprises, either the chairman of the company (in the case of some SLLCs) or the chairman of the members’ council (in the case of some SLLCs and all MLLCs), chairman of the board of management (in the case of a JSC), or the general director (regardless of corporate form) must be designated as the legal representative. Legal representatives have the authority to bind the company in contracts and are personally liable for the commission or omission of certain acts. For example, in the context of an LLC, the legal representative of the company must notify the business registration body in writing of the progress of capital contribution within 15 days from the date undertaken for capital contribution, and must bear personal liability for any damage to the company and to other persons due to late notification or inaccurate, untruthful or incomplete notification. The legal representative must reside in Vietnam. What is the significance of a Vietnamese company’s “Business Lines”? Unlike in most common law countries, a company in Vietnam is only permitted to conduct business activities that are narrowly defined and mostly codified into a State recognised and published list of business activities called “business lines.” Generally, for FIEs, the permitted lines must be closely tied to what is considered necessary for that particular project. Furthermore, to obtain an IC, the investor needs tangible plans, including a feasibility study, detailing precisely what the investor will do. Broadly drafted business lines such as “doing any lawful business permitted by law” are not permitted. What is the capital structure of an FIE? Generally, for FIEs, there is no per se net worth or capital structure requirement; however, companies must have enough capital resources to successfully realise the business goals set out in their IC. The capital structure is stated in the IC, including the total investment amount. In practice, generally, at least 20% of the total investment amount should be contributed as equity (rather than from loans). In the case of a JSC, founding shareholders of JSCs are required to register to subscribe together for at least 20% of the number of ordinary shares off ered for sale. Can the capital contribution of an FIE be reduced, whether by distribution or otherwise? Yes, but there is a qualified waiting or a “lock-in” period. In an LLC, investors may reduce their capital contribution if business operations have been carried out for more than two years from the date of business registration; and, at the same time, ensure that debts and other property obligations of the company are able to be paid in full after returning part of the contributed capital to the investors. In a JSC, within three years from the date of issuance of the IC, the shares of founding shareholders cannot be sold except to other founding shareholders unless the sale is approved by the remaining shareholders. What are the time limits for contributing capital? Under the Law on Investment, investors must contribute their capital contribution in accordance with the schedule stated in their IC. The Law on Enterprises does not prescribe a set time limit for the owners of LLCs to contribute capital; however, the founding shareholders of a JSC are required to register to subscribe for at least a combined 20% of the number of ordinary shares off ered for sale and must pay in full for the shares registered for subscription within 90 days from the date of issuance of the IC of the company. Are there limitations on the amount of equity a foreigner can purchase in a domestic enterprise? In practice, it should be noted that there are issues with licencing authorities refusing to register and/or implement foreign acquisitions of domestic companies doing business in certain sensitive sectors, such as real estate and distribution, despite there being no limitations in the law. Are there any foreign ownership limitations in the retail and distribution business in Vietnam? As from 1 January 2009, WFOEs are allowed to engage in trading and distribution in Vietnam, thereby eliminating the last restriction on foreign investment in this sector. Foreign investors directly investing in this business sector will still need to apply for and obtain on IC, and are still limited in the ability to freely establish retail outlets. What are the requirements to establish a retail outlet? Pursuant to the WTO, Vietnam’s commitment on wholesale trade and retailing services states: “The establishment of outlets for retail services (beyond the first one) shall be allowed on the basis of an Economic Needs Test (ENT).” In turn, the ENT is explained as: “Applications to establish more than one outlet shall be subject to pre-established publicly available procedures, and approval shall be based on objective criteria. The main criteria of the ENT include the number of existing service suppliers in a particular geographic area, the stability of the market and geographic scale.” What this means in practice is that the licensing of FIE retail stores, beyond the first one, is at the discretion of the Vietnamese authorities. Are there any restrictions on what products may be sold? Although the retail and distribution sector has been further liberalised to permit more foreign investment, there are still restrictions on the distribution of certain products. Often these restrictions relate back to the restrictions on the importation of certain products discussed in more detail below. Foreign investors should consult the relevant product lists prescribed by Vietnam in accordance with its WTO commitments in order to determine whether certain products may be imported and sold in Vietnam.